“American life has secularized and grand political ideologies have fallen away, but moral conflict has only grown. In fact, it’s the people who go to church least — like the members of the alt-right — who seem the most fervent moral crusaders. We’re living in an age of great moral pressure, even if we lack the words to articulate it. 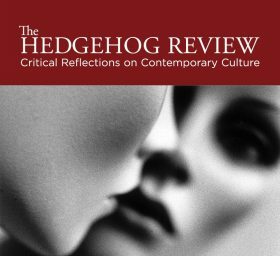 In fact, as Wilfred McClay points out in a brilliant essay called “The Strange Persistence of Guilt” for The Hedgehog Review, religion may be in retreat, but guilt seems as powerfully present as ever. Technology gives us power and power entails responsibility, and responsibility, McClay notes, leads to guilt: You and I see a picture of a starving child in Sudan and we know inwardly that we’re not doing enough. McClay is describing a world in which we’re still driven by an inextinguishable need to feel morally justified. Our thinking is still vestigially shaped by religious categories. Share this with your family, talk about it with your employees, try to more fully understand the world in which we live and you’ll become a better boss, better friend, spouse, parent, sibling, a better steward, investor, encourager, marketer. Entrench reality in your life and you’ll be able to gratefully accept things as they are, not how you wish them to be. Find your formula for redemption.